Stephen Dando-Collins told the world about his war hero great-uncle Ned Searle in his bestselling 2011 WWI memoir Crack Hardy, the true story of the Searle brothers and their 1914-1918 battles on Gallipoli, in Flanders, and on the Somme. In this book, Stephen focuses on the July 4, 1918 Battle of Hamel on the Somme, a battle that turned the tide on the Western Front and changed the way war was fought. 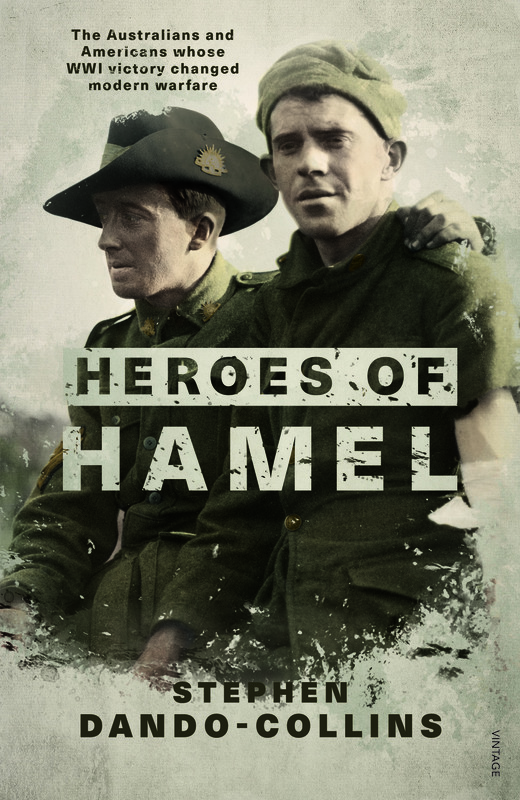 In this acclaimed account, Stephen focuses on six men who fought at Hamel. In addition to his Great-Uncle Ned's decorated role in the battle, he tells us about two Australian Victoria Cross winners, 'Two-Gun' Harry Dalziel and Jack Axford, about Tom Pope from Chicago, Illinois, who won the first US Army Medal of Honor of the war at Hamel, about his stubborn commander Colonel Joe Sanborn of the 131st Infantry, and Lieutenant-General Sir John Monash, the brilliant Australian commander who conceived and implemented the Battle of Hamel. Stephen also highlights, for the first time, how American commander-in-chief General 'Black Jack' Pershing was blindsided by his own generals to ensure that Americans went into battle with the Aussies. ALSO AVAILABLE IN A LARGE PRINT EDITION AND AUDIOBOOK.